If YOU have been craving your intimate and peaceful slice of Paradise, YOUR Time Is Now! Nestled on a cul de sac of a quiet and exclusive neighborhood within the gated community known as Pineapple Hill exists YOUR home at 406 Monarch Place. Offering 3-bedrooms and 3-bathrooms, this meticulously maintained home offers a spacious 2, 794 square feet of single-level living on a 12, 283 square foot parcel. 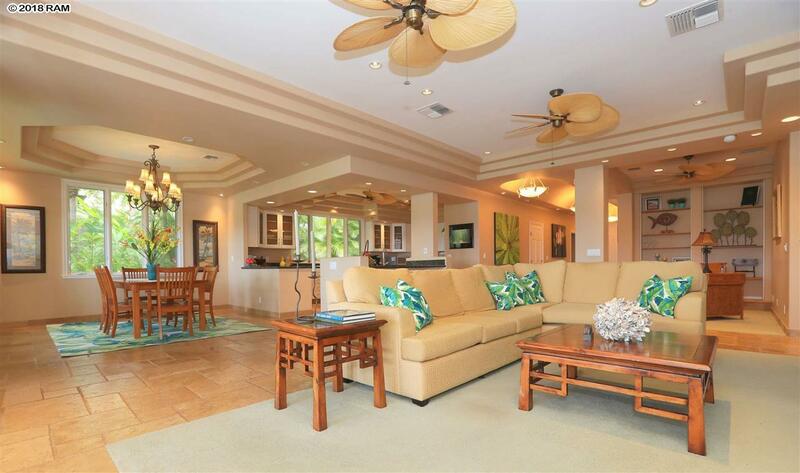 Enjoy ocean, islands and Kapalua coastline views every single moment from this home. Originally built in 1998, the home has consistently been renovated throughout recent years. A 2011 installation of a photovoltaic system (OWNED NOT LEASED) contributes to low monthly expenses. A modern yet classic decor was achieved with new kitchen & bathroom cabinet doors, hardware and self-closing mechanisms. The newly installed air conditioning compressors in 2016 makes usage efficient and simple. Kenmore washer and dryer, Kitchen-Aid refrigerator and Kamado and Weber grills are examples of the top-of-the-line brand appliances. Installed in 2015, motorized retractable screens appear at the touch of a button and they are perfect for shade from the sun, climate control and additional privacy. The luscious and tropical landscaping creates a cozy and relaxing environment as YOU enjoy pool and spa time with family, friends or in solitude! Pineapple Hill is an exclusive gated community located in Kapalua, MAUI. The community includes a community club house, swimming pool, tennis courts and a site HOA management office. The home is sold furnished with EXCEPTIONS. A list of exclusions, monthly expenses and a feature sheet is available upon request. YOUR Time Is Now.